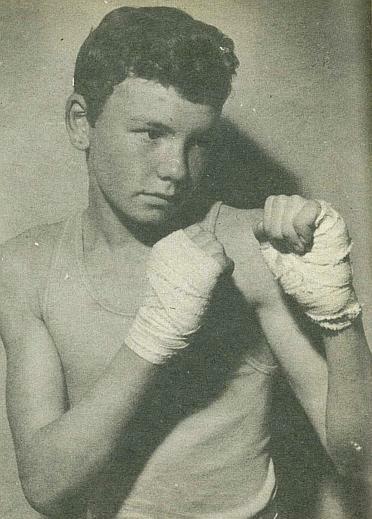 Nelson boxing trainer, Mr Les Rackley, took six junior boxers from his gymnasium to the national junior championships in Hamilton recently. They returned with three New Zealand titles-a most successful trip. The successful title winners were Brent Bright (Top Left), who won the 6 stone 1 to 6-6 section, Michael Gilbertson (Above), who won the 7-7 to 7-12 class and Les Rackley jnr. 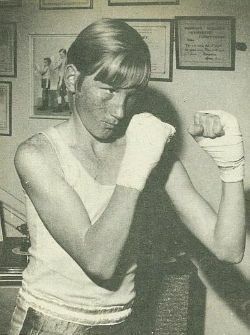 (Left) who won the light-welterweight class. Brent has been boxing four years and this was his first national title (he was runner-up last year). 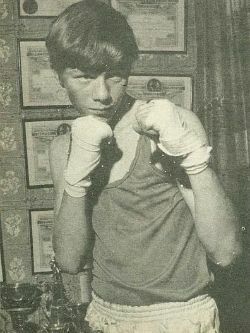 Michael has also been boxing for four years and this was his first national title also. Les Rackley is now a most experienced boxer. In 1968 he was runner-up for a title at the national junior championships and he took a title in 1969.